It isn't easy finding 3 year old party games. But your search is over. Here you will find a couple games that can be played by the small crowd. Three year olds have the attention span of only about three minutes, so the games need to be easy to expain and just as easy to play. But of course the point of the game is to have fun! Be safe! 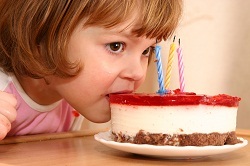 Make sure any prizes or party favors can not fit through a paper towel or toilet paper tube to avoid any choking hazards. 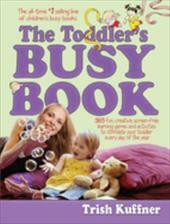 If you are looking for a lot more to do with your toddler, check out the Toddler's busy Book. Stimulate a child's natural curiosity with entertaining math, language, and motor-skills activities. Keep toddlers occupied during long car trips or cross-town errands. "The Toddler's Busy Book" is written with warmth and sprinkled with humor and insight. It should be required reading for anyone raising or teaching toddlers.